When buying or selling a home there are a number of different professionals involved in the process. These professionals are involved in critical parts of the real estate transaction that in order to be successful having the best and brightest is important. One of the main reasons for bringing in the best professionals possible is that the buying or selling of a home is usually one of the largest transactions a person will have in their lifetimes. As a result home buyers and sellers would like everything to go perfectly so that their investment in a home can keep itself going over the long haul. With that in mind the following tips below will help home buyers and sellers choose the best professionals to help make sure the transaction is a successful one. Whether you want a home inspection for buying a home or prior to listing your home for sale picking the right home inspector is important. Your home is a long term investment and therefore you want to make sure the home you are buying is properly evaluated or as a seller you want to make sure the home you are selling is putting its best foot forward when it comes time to sell. By taking care of home inspection before listing your home for sale you make it less likely you will have to scramble around to find contractors in order to get things done before closing. If you live in a state where home inspectors are required to be licensed (Kentucky requires home inspectors to be licensed) then a first check with any home inspector you are considering is whether they are properly licensed and have insurance. If you live in a state with no license requirements for home inspectors (Ohio does not have licensing requirements for home inspectors) then the best bet would be to check review sites like Google, Facebook, Yelp and more to see find highly rated home inspectors. Especially with a platform like Facebook or Yelp, not only can you check for reviews you can also see if any of your social media connections used the same provider and then ask them for their opinion. Do not pick the one and only person your real estate agent provides to you. While there might not be signs of improper influence a home inspector who came via referral from an agent may have some sort of financial agreement in place where they have to pay some fee to a real estate brokerage for being the in house referred inspector. As a result that inspector may be passing on the costs of the fee to you as the client. Even worse the home inspector may consciously or unconsciously feel the need to make sure a home looks ok enough to close without pointing out real issues that can kill a deal. After all that home inspector wants referrals in the future and if they are known as finding too many problems where deals can’t close they may get taken off the preferred vendor list. The ideal as a result is to find your home inspector either online or through word of mouth. Another important professional you may be working with whether you are buying a home or selling and soon to be buying another home is the mortgage lender. Generally most mortgages are long term 15 to 30 year commitments to borrow and pay back money to buy a house. Over that time an extra quarter or half a percent interest rate added onto your loan in order to increase someone’s commission can add up big time for the borrower. Make sure not only are you interviewing mortgage lenders about what products they have, how long they have been in business, but also about what fees and additional costs you will find on your loan. There are some standard and common fees that are included under every loan in order to process the loan and get the real estate transaction closed. Other fees and points are add-ons that may or may not account for the actual processing of the loan. Ask about all fees upfront and compare fees with different lenders. Another important thing to pay attention too is whether the mortgage lender you are working with is licensed under the NMLS (Nationwide Mortgage License System). Unless you are using a trusted private lender, if they are not licensed under the NMLS run away as fast as you can. Chances are anyone claiming they will lend you money and who is not licensed under the NMLS is out to scam you, you will not get any money to buy a home and instead will pay fees upfront and then the lender will disappear on you. Work only with lenders who are licensed with the NMLS. When buying a home with a mortgage the mortgage lender usually will contract the services of a local appraiser to provide an appraisal. If you are a cash buyer or a home seller wanting an appraisal for your home to determine a good listing price then you will need to directly contact an appraiser. 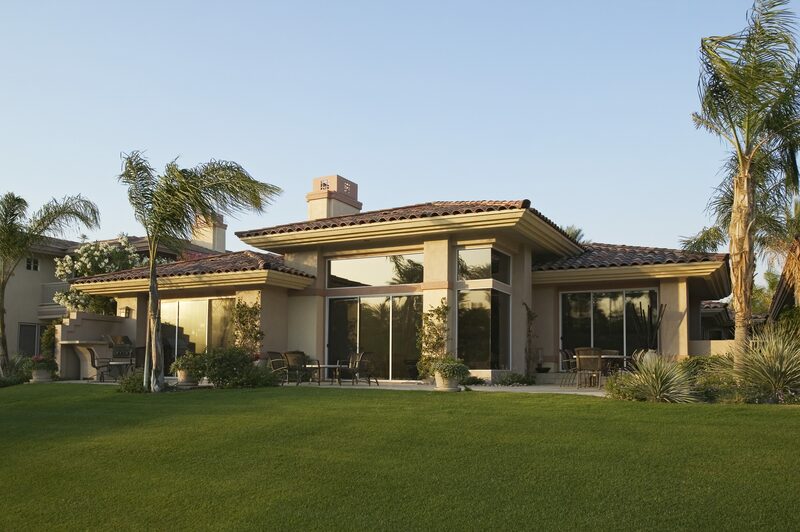 All states require appraisers to be licensed in order to give appraisals on residential properties. Due to the nature of the appraisal profession most of the work is done behind the scenes with information being provided mainly to the mortgage lender. As a result there may not be many if any reviews for local appraisers. Word of mouth referrals for appraisers may also be few in number. Finding the best appraiser for your particular need will involve searching for licensed appraisers online through Google or through appraiser registry sites. Upon finding a few local appraisers contact them and ask questions such as how long have you been licensed for, how many appraisals have you done, what preparation work is needed prior to the appraisal, as well as appraisal costs and turnaround time for the appraiser. Choose the appraiser you feel best can deliver the appraisal that you need in a reasonable time frame. When choosing a photographer/videographer for the sale of your home it is best to choose someone who will take the best videos and photographs of your house in order to make it shine online. 90% of selling a home takes place online, you need to have great pictures and great videos to wow your buyers. Once the buyers come into the house for a personal tour then it is the house selling itself. If the pictures and video of your home can’t wow buyers the chances of selling that home get smaller since there will be fewer buyers coming to see your home in person. Choose a photographer based on the pictures they have taken in the past of homes. Don’t choose someone because they take great portraits pictures unless they can show you they also know how to take interior and exterior pictures of a house. The skills for taking portrait pictures and interior architecture pictures are different. Pictures of your home should reflect an accurate portrayal of your home, so ultra wide angle lenses that make your rooms seem huge are a definite no go since when people come into your home and see that the rooms are not as large will mean a lot of buyers feeling deceived. The same applies for post processing pictures of your home. Minor touch-ups of photos to take care of the inaccuracy of cameras is fine. Covering up major flaws with your home, changing the colors of rooms, removing unsightly features will just turn off buyers when they come to see your home in person resulting in them not wanting to consider your home at all. Video is another ones of those marketing tools that if overdone or not done accurately will result in turned off buyers. If your photographer can do both pictures as well as video make sure to review their work to see if quality videos will be made as opposed to something done on a low quality cell phone. Video is not always necessary and depends more on the house. A luxury home in tip top shape definitely warrants video and should get proper coverage. For other houses with less than flattering appeal a video made out of still pictures so it gets coverage on YouTube is a great way to show off that home without the higher expense of full motion video. If a home warrants aerial photography with the use of a UAV (unmanned aerial vehicle also known as drone) then make sure the person who will be using the UAV to take pictures and video of your home is properly licensed to fly UAVs for commercial purposes and is adequately insured. If a UAV happens to crash and damage property or worse injure someone then a lawsuit could happen. While the UAV operator is the one who will primarily be responsible that does not mean you as the homeowner won’t be sued. One of the common themes in this article is that checking professional licenses is a must. Whether the professional is a real estate agent, mortgage lender, appraiser or UAV operator the licenses ensure some level of responsibility. 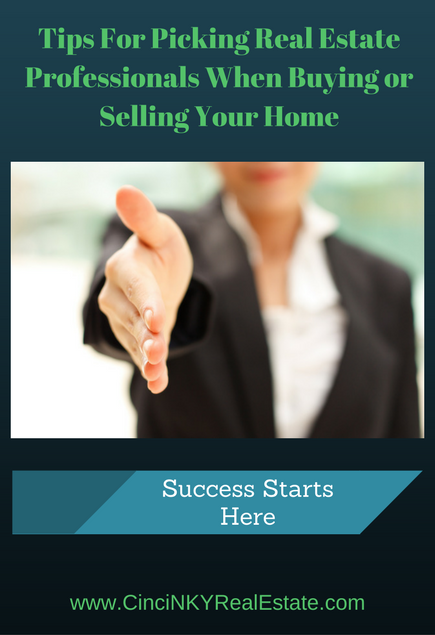 Selling a home is a large undertaking and having the right professionals in your corner will help ensure success. About the author: The above article “Tips For Picking Real Estate Professionals When Buying or Selling Your Home” was provided by Luxury Real Estate Specialist Paul Sian. Paul can be reached at paul@CinciNKYRealEstate.com or by phone at 513-560-8002. If you’re thinking of selling or buying your investment or commercial business property I would love to share my marketing knowledge and expertise to help you. Contact me today!